ALGONQUIN PARK, Ontario - You pass by floating greens and thick trees. You feel the soft currents beneath your board. And you spot wildlife peeking through the leaves, only to disappear in a blur of fur and twitchy ears. This isn’t your average SUP adventure, and that’s the point. We’re talking about Algonquin Park, of course. It’s the largest provincial park in Ontario, as well as the oldest (it was established back in 1893). Once you find your feet on your board, you’ll understand why this is one of the premier parks in the province. There are plenty of blue waters tucked against thickly packed green foliage. While this park has been a canoers destination for quite some time, the SUP scene is making itself known. It’s the perfect spot to see things from a new perspective. 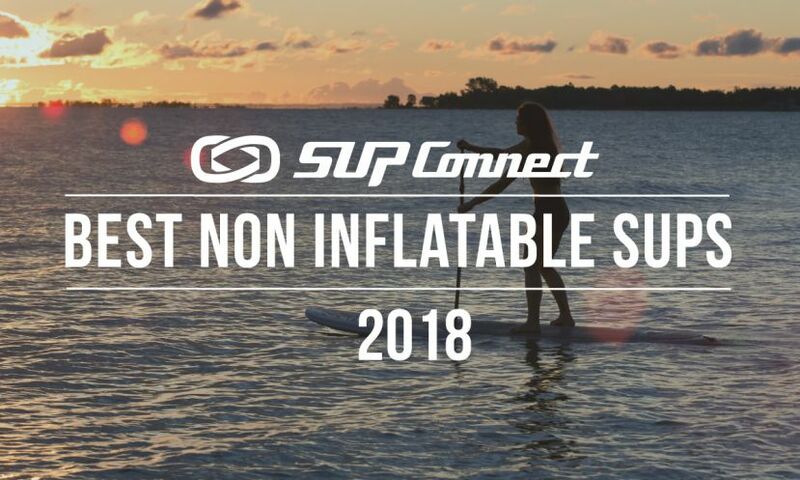 To help you plan your upcoming trip, we at Expedia.ca partnered with SUP Connect to give you the details of this epic landscape. Ready? Let’s go. You can find Algonquin Park roughly 300 km north of Toronto and 250 km west of Ottawa. At 7,630 square km in size, the park is nearly as big as some of the smallest provinces. While it’s mainly known for its greenery, about 12 percent of the area is made up of waterways—making it a paddler’s destination. Sunrise at Smoke Lake in Algonquin Park. As Algonquin Park is well-regarded for its canoeing, you’ll often find calm waters in some of these top spots. Take the Smoke Lake to Ragged Lake route. This watery pathway is considered easy and a great start for beginners. Let’s just say, if you fall off your board a time or two, no one’s going to judge. You can find the entrance at access point #6. If you want to do the whole stretch, know that it can take up to one to two days. Another good pathway is the Oxtongue River route. With tons of lush scenery, it’s a good option if you want to make your way down at a leisurely pace. It’s also known for being more on the quiet side, if you prefer to be in your head as you glide down the water. The full journey will take about one to two days. Are you one of those expert types? Make your way to Rain-Islet-McCraney Lake Loop. This is often a quieter path, if you’re looking for some alone time on the water. The entrance is access point #4 and can take about three to four days if you plan on paddling the whole way. Algonquin Park in the Fall is a sight for sore eyes. The best time to visit Algonquin Park depends on one thing: How much do you love autumn hues? Some may tell you to visit mid-May when it’s not as crowded. Some will tell you to paddle in summer, when the weather is the most ideal and you’ll run into other explorers enjoying the afternoon with you. But if you want sights you can’t find anywhere else, you need to make your way in autumn, when you’ll glide past a world draped in golds, reds, and oranges. Looking to rent a board? Your best option is the Algonquin Canoe Company, which has Stand-Up Paddle Boards starting at $25. The company is well-regarded in the area, and a sure bet if you have any questions about water routes during your trip. When it comes to staying in Algonquin Park, you have a few options. If you want to stay within the park, you can pick from options like Arowhon Pines, Bartlett Lodge, and Killarney Lodge. If you want to do an extended vacation in the region, you could always stay in Toronto or Ottawa, for a mix of big city life to balance out the ruggedness of the park. View of the Canoe Lake Permit Office in Algonquin Park. Break up your time on the water with plenty of other activities to try out in the park. Algonquin Art Centre - This art centre is a firm believer in the beauty of the wild. Nearly all of the paintings and sculptures revolve around untamed landscapes and deft beasts. The centre also includes a Meet the Artist series, as well as daily classes where you can paint, draw, or create on a variety of canvas types, including paddles and rocks. Algonquin Logging Museum - Logging has had a huge impact on the park’s history. The Logging Museum includes a video summary of the area’s history, a mock camboose camp, a steam-powered log tug, and a 1.5 km trail around the area. Yoga and SUP - the park is also home to a combination of yoga and SUP retreats. The goal of these trips is to find mindfulness while surrounded by the landscape. Adventuring into the wild is a wonderful thing—especially when you can experience it atop a board. There’s something powerful, something untamed, something different about paddling through Algonquin Park. When you’re ready for a trip that promises new things, these water routes are yours to explore. To explore more SUP destinations, click HERE.